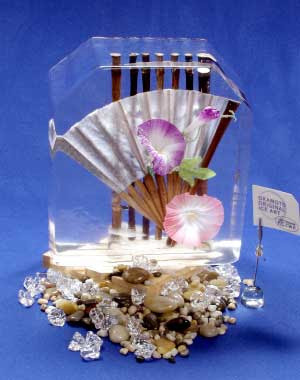 All Graphical: Ice Aquarium or Seafood Exhibit? 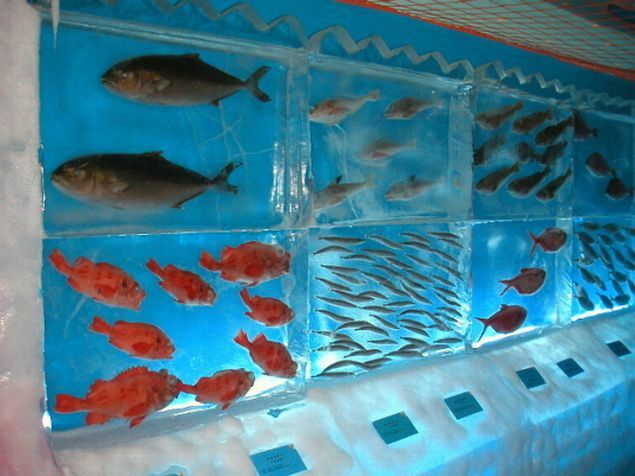 Ice Aquarium or Seafood Exhibit? The ice aquarium located in Kesennuma, Northern Japan preserves their 450 specimens using flash freezing technology. The 450 marine creatures consist of 80 different species ranging from fish, crabs, and octopuses transferred in from the local port. Temperature inside stays at a freezing -5°F (-20°C) so tourists are required to put on protective clothing to avoid becoming part of the icy aquarium themselves. 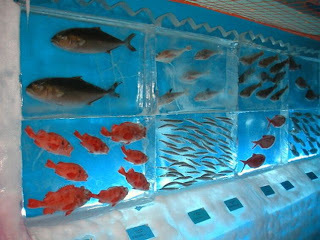 The inauguration of this frozen aquarium in 2002 occurred within the Uminoichi seafood market so the idea of this flash frozen aquarium makes much sense. There are an assortment of seafood restaurants nearby for anyone who worked up an appetite. 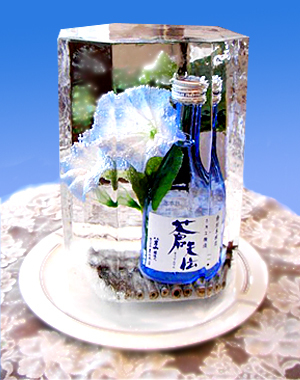 The local refrigeration firm Okamoto Seihyo also uses the flash freezing technology on various gifts. Gifts inside these glacial containers win points for unique presentation but will also test the patience of anyone receiving the gifts. That's just odd. I mean, frozen fish...that are not breaded? 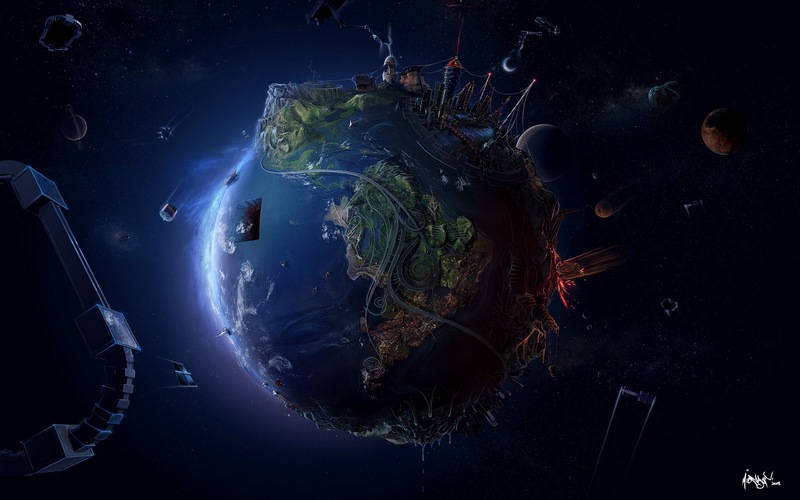 Wow that is amazing! Those Japanese people sure have wacky ideas! At least you know they are not going to try and get your $$ by making you purchase fish food. The term Flash Freezing always makes me think of super villains like Mr.Freeze and Captain Cold. 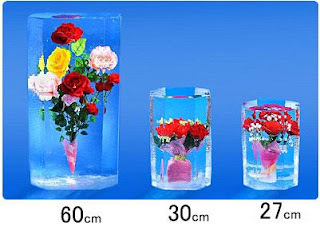 i'd be tempted to defrost a few, and fry 'em up!